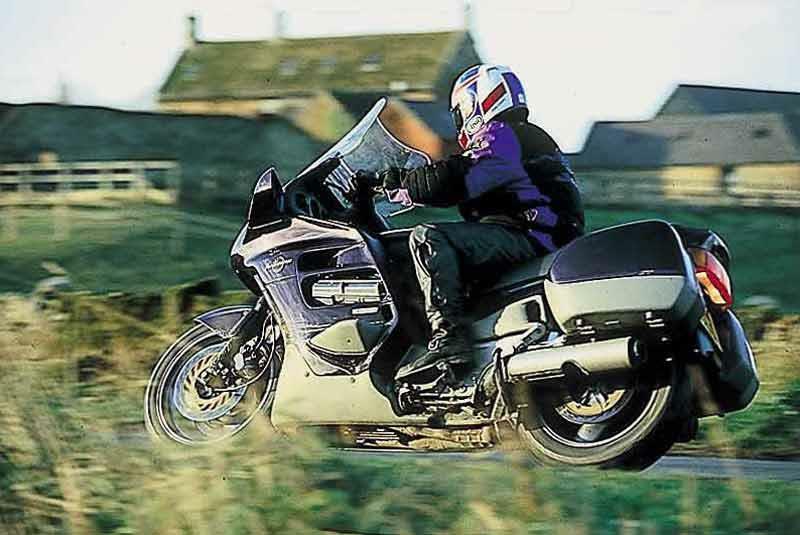 For anyone looking for a long-distance tool the Honda ST1100 Pan European is probably one of the safest bets around. The only problem is availability – owners rate them so highly that low-mileage machines are rarer than hen’s teeth. Not that mileage matters as the motor and construction quality is thermospherically high. The Honda ST1100 Pan European's chassis is so beautifully balanced that despite the Pan’s colossal 297kg dry weight it feels poised and light, even at walking pace. Some riders complain that the tyres feel remote from the road, but it’s just a question of putting your faith in the capable Pan. The standard screen makes for a very noisy ride past 90mph an in windy conditions you can fell pushed about by windblast. The Honda ST1100 Pan European's DOHC V4 motor is so smooth and its delivery so linear that it redefines notions of ease. Reliability and durability is second-to-none. The five-speed gearbox never finds anything but drive and in top 90mph is met with just 4500rpm on the clock. You can hit 130mph, but that’s not really the point. Honda ST1100 Pan European motors will cheerfully toss off 250,000 miles, the suspension lasts well and the build quality is terrifically strong. 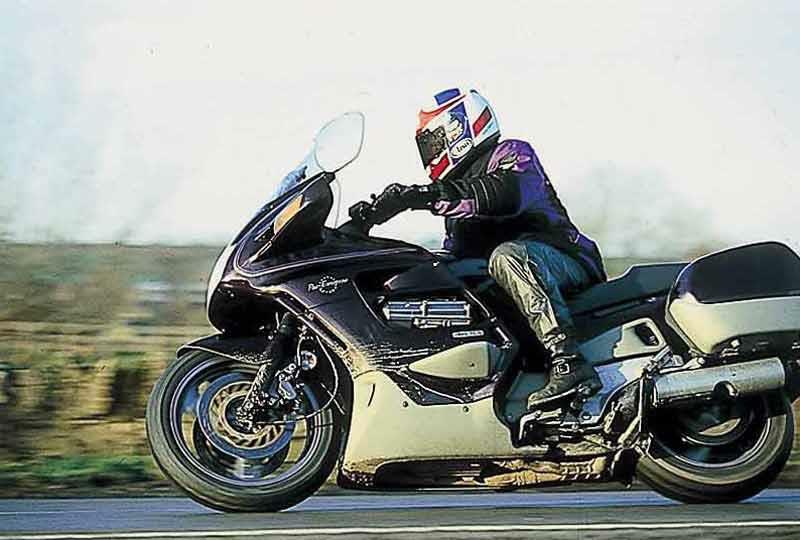 Keep an eye on tyre wear, which dramatically affects the handling, corrosion on the swingarm, seizing brake calipers and poor paint quality which affects older bikes particularly. Honda ST1100 Pan Europeans are expensive, even compared to more modern stuff, but the flip to that is they do hold their value well. The only downer is the puny service intervals – just 4000 miles apart. At £150 or so a time that soon mounts up. Find a Honda ST1100 Pan European for sale. High quality hard panniers come as standard with the Honda ST1100 Pan European and there’s a plethora of aftermarket touring kit, like replacement seats, screens and other luggage. 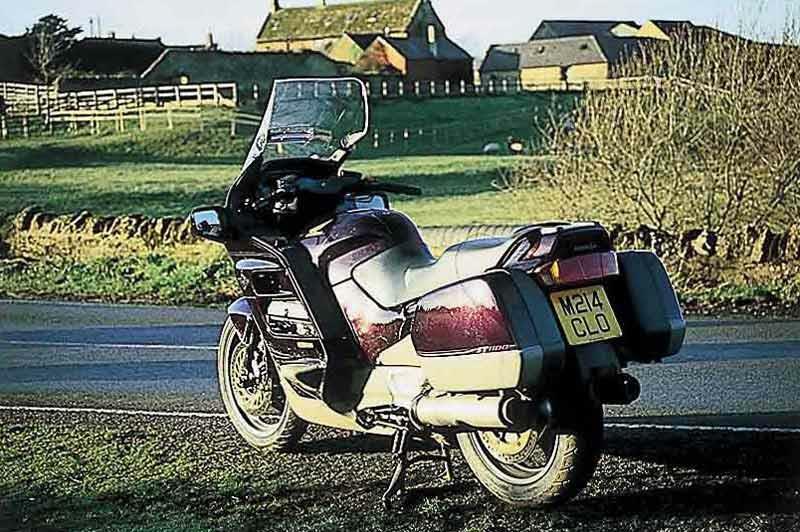 1989: Honda ST1100 Pan European introduced. 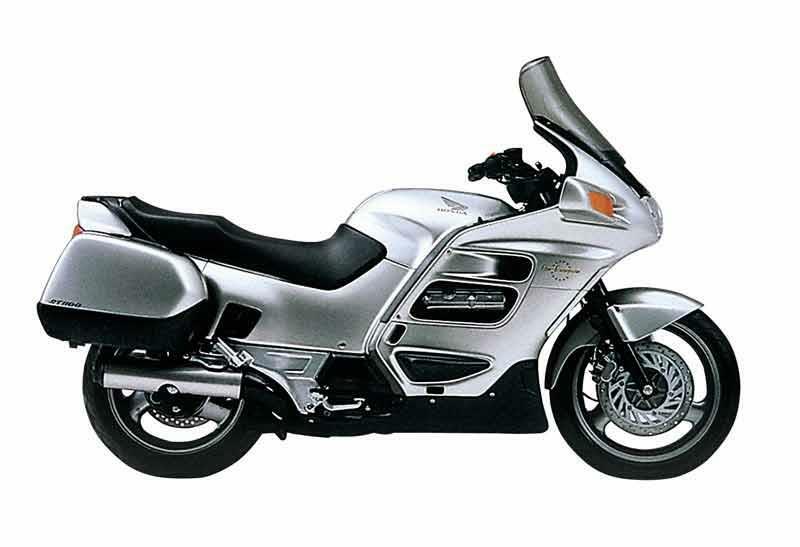 2002: Replaced by Honda STX1300 Pan European, with a bigger motor, an electric screen (on the ABS version), an adjustable seat and improved fairing. 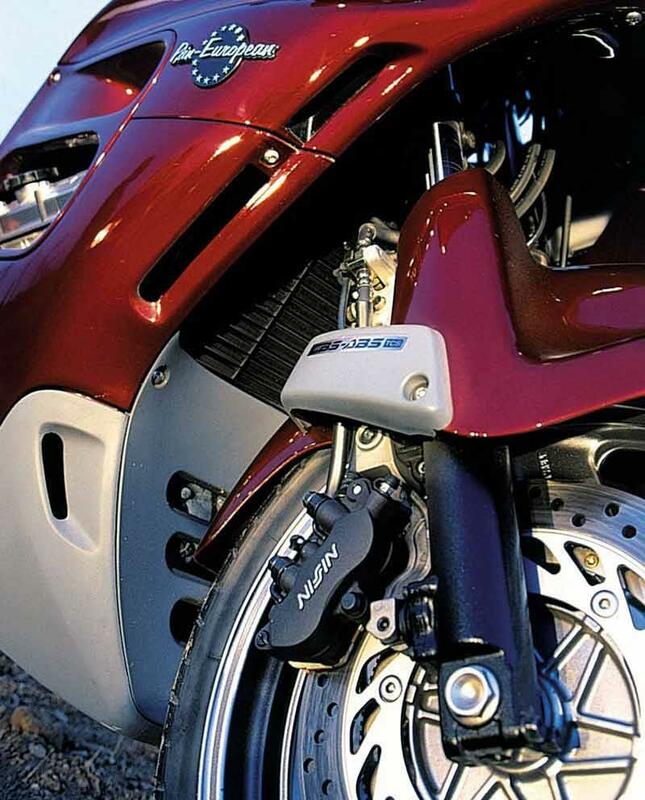 Honda ST1100 ABS: Fitted with Advanced Braking System. 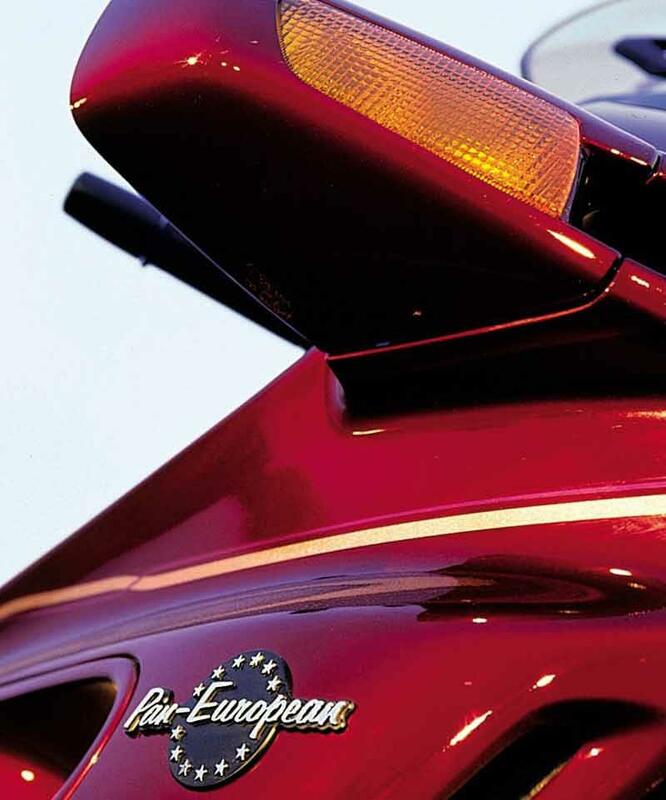 29 owners have reviewed their HONDA ST1100 PAN EUROPEAN (1989-2001) and rated it in a number of areas. Read what they have to say and what they like and dislike about the bike below. This is my best bike ever. Look out for brake seizing issues, no other issue at all. Really like the linked brakes, works very well. Best engine I have ever ridden, very smooth and reliable. Enough power all the time. Look out for swing arm and seizing brakes. Oil change twice a year including final gear oil, brake pads last 2-3 years, and tyres about 2 years per set. The hard panniers are brilliant, enough to bring all the things for a long tour. Only problem: no good place for a satnav. This bike is just brilliant at what I need it for: eating miles every day and coming for more in comfort. Brakes are OK, ride and road holding is decent for a bike of this age. Fuel tank gives a range of 300 miles and the original seat gives about half that. I'm sure a better after market seat would add 50 miles. What an engine: Smooth, excellent spread of power from tick-over to the red line. Sounds pretty decent too. Mine is 22 years old and hardly has a mark on it. The only item that has been replaced is the exhaust system. Not easy to find a good one but it was worth holding out until one turned up. Only real problem I've had was an Alternator going on a 1994 model, which has the 28A oil cooled model which isn't made anymore. If you a 1996 or later then they've fitted an air cooled 40A job which is better with an inbuilt reg/rec but it is probe again to road salt corrosion so keep a beady eye on it. Also its worth checking the Cam belt at 60k as it should last for 90k-100k but they can wear out early if its an older model. Best Tyres - Avon Storm 3Dxm, not the cheapest tyre but bloody good milage and handling. I'm a bit of a fatty and get 8000 out of the front and 10000 from the rear!!!! Not much to be said, it's the perfect bike. I've had 2 previous ones and all 3 rode (ride) flawlessly. :) Plenty of room to shave 2" off the seat and put in a gel insert, put some handlebar risers on yours and the rest is up to you. So many ways to customize an ST. Average just under 50MPG on the highway. For a 700+ pound bike, that's AMAZING!! Great stopping and fantastic handling. Smooth as silk. More power than needed. Change the fluids and you'll find nothing major to do on this bike for 100,000+ miles. Non-cluttered dash is easy to see everything at a glance. Extra lights, under the head lights and spots on the wheel arch, with a fog light to be fitted on the back nearer Christmas, i have put back on the police siren for some car driver that don't see me!!! Excellent value for money, solid reliable crisp performer. Best features are the light crisp handling. I also have a Kawasaki GTR1000 which is like riding an incredibly fast block of concrete in comparison. If anything, at the moment, the worst part of it is that the 5 speed high gearing means I'm often in 4th rather than 5th. Comparing the Kawasaki, the 6 speed gives more flexibility. I would have expected a bit more bottom end torque from the V4 at low revs. But, again, turn the throttle and it responds. As I stated above, the handling is light, crisp and very positive. I can weave this bike through traffic like a 250 and it is also quite slim with the panniers on. As I said I have a GTR1000 and the 19l panniers make it like trying to get a barge through traffic. The brakes are ABS and it has TCS so I didn't expect there to be any surprises. The brakes are light, positive and can really slow you down if needed. I bought this bike in Manchester and rode it straight back to FIFE that day. The bike was comfortable even over the 370 miles of the route I took. 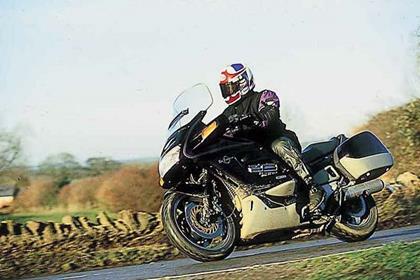 It never lacked power, in fact up the A1 there was nothing I could not simply pass by a touch of the throttle. Given the plug situation that was remarkable. I've driven pretty long distance on the Kawa (800 miles return in one weekend) and the ride and handling far outclass that. I guess I've been spoiled though. Someone GPZ tuned the Kawa and the lower performance is quite marked. But you can't put the bike down for that, it may not set your hair on fire but it's not meant to. It does what it says on the tin. Powerful, flexible but tends to chunter in 5th gear at 30mph. I know it's part gearing but at 100bhp I would have expected a bit more low down torque for the slow stuff. I haven't had the bike long so can't say too much. But given that it's 13 years old, the engine runes extremely well and the brakes are in excellent condition. Even the back brake which was binding only took 20 minutes to free off. That is very good engineering. The clutch is giving a few issues but I don't know how it has been ridden. Then again the clutch is the easiest accessible of any vehicle (let alone bike), that I've ever seen or worked on or owned. This is a materials basis only. I do my own work and expect 2 services. Given that you could drive a bus through the plugs I took out, yet the only evidence was a slight tendency not to start when cold, plus a little less oomph, I'd say they only need changing every 4 services. Nice panniers, good fairing. I've been used to the stand up fairing on the Kawa and the original Honda one seems small. I was blown around quite a bit on the journey home which never happens on the larger screen. I'll probably buy the larger one. The fitted top box is a joke. I can't even get my helmet into it without putting the lip inside the head space. That I will certainly replace. ST1100, life in the old dog yet? Best feature has to be comfort, ride for 120 miles and get off fresh as when you started. If you're into touring it's a good bike, shaft drive is a massive plus here. If your looking for excitement, stay away. Worst feature static weight. Physically moving it around requires a lot of effort. As there's no ABS or linked brakes on this model, so it's down to me to know how much brake to use, and that's how I like it. Bit of rear brake at low speed works wonders. I wear a medium glove and I find the front brake lever is a bit of a reach. So far I've failed to find a dog leg lever replacement. Brakes on the whole, are up to job. Ride wise, you know you're on a heavy touring bike. There's going to be no getting your knee down on this one, but it's all positive. Whether filtering in traffic, B road twisties, or motorways in a strong side wind. The weight is handy when going over the Severn Bridge in January. Is it a good all-rounder? Probably not, but what bike is. No pillion as yet, but there's no shortage of seat space for two. The engine lacks power, character and boarders on boring. You open the throttle and it gets faster quickly, but no adrenaline rush. I had a ZZR1100 before and the two engines are nothing alike. No getting your arms ripped out their sockets on this bike. Personally, I like the feel of a twin, but my budget wouldn't stretch to a BMW, this time. On the up side, the engine is smooth. Rev counter shows just 3700 at 70mph. I'm not going to incriminate by saying any more, but I'm looking forward to Germany. The previous owner spent a lot of money on a reconditioned alternator. As the bike had only done 41,000 he was either unlucky or it's a weak point. He also put on a complete stainless exhaust, as the original had rotted out. Forks had been overhauled, as had the swing arm bushes. New battery for good measure. I asked at my local Honda dealer, how much for the carbs to be balanced, £160. That seems to be pretty high to me. Balancing carbs on a four can be a sod, but I'll probably have a go myself. I bought a service kit, oil, oil filter, air filter and spark plugs for £58. At a guess, I expect it's going to cost me around £200 plus a year, not including tyres and disasters. Basic, but adequate equipment. Best feature, the fairing is phenomenal, but could do with an adjustable screen. When I got the bike it had a almost illegal Continental on the front and a new Bridgestone 023 on the rear. The front end wandered around like a lost soul, so I changed it for a Bridgestone 023 on the front and hey presto the bike handled. Bought the bike privately for an amazing £1400. Considering the work the previous owner had done and the near full service history, a bit of a bargain. The best features are too many to count! Reliability, the effortless way it performs - too many positives.. Negatives - one - vibration through the twist grip. I blame the vibes on damaging the nerves in my right hand BUT I would still recommend this superb motorcycle. The bike is at its best when it takes a deep breath at 90 mph on the freeway and just wants to prove how good it is. Starts getting uncomfortable after 400 miles although the most miles in 1 day was 636. The engine is adequate for the bikes weight but don't expect a thump in the back when rapidly accelerating. Everything about this bike is top-class. Reliability? - mine had done 152,000 miles before I decided to change the cam belt. Checked the valves while I was at it ( 1st time) - still in tolerance. Put new spark plugs in at 50,000 miles and replaced them at 152,000 miles but nothing wrong with old ones. I self-service the bike - oil and filter changes etc every 4,000 miles. I changed the cam belt myself and reckon it would have cost about $1,000 because of the complexity. Gas mileage is 48 per US gallon - I check it regularly. I bought new from dealer and paid about $11,000 in 2000. Best money I ever spent. Best features everything except the seat. Worst feature, the stock seat, why do the slope it forward so that one's nuts get crushed? The stock seat is bloody awful. Brakes a pretty good. Ride & suspension are good. Bike is fairly nimble for it's size and weight. Ample power for such a big bike. Engine is fairly quiet at road speeds. Good 'round town fuel range and power. Why does the gear box sound like a sewing machine? Typical Honda. Good engineering, and overbuilt to a fault. Nice stock panniers. Love having a gas gauge. Clock & headlight adjuster, Meh! Bought privately, from a guy off Craigslist. Asking $1800, took $1600. The bike was in okay conditon, needed a little love (carburetor leaked gas into one of the cylinders.) Odometer miles were 40,000. Feel like I stole it. I live in Tucson AZ, where rust & corrosion are pretty much unknown. I scratched a long-tem itch in May 2014. At 56 years of age I passed my cat A licence. After seeking advice from my course instructor and my test examiner (both top blokes) and doing a bit of research I plumped for a ST1100. It went over 20,000 miles on my test ride and now sits at 25,000 just over a year later. Obviously I have little experience of riding other bikes. I trained on an ER-6N and 'fiddled around' on mates bike years ago. To be honest, my range of experience is likely to remain limited. My current 'Pan is brilliant. My next bike will probably be a ST1300 unless there is something out there I've missed....and I've looked at BMW's, Kawasaki GTR 1400's/Z1000SX's, Yamaha FJR 1300'S, Triumphs and V Stroms.Yep, it's a heavy bike but it all drops into the road as soon as you move. I imagine everyone has to watch that they don't park pointing downhill too close an obstacle, be it parked car, wall or kerb. You ain't going to pull a 'Pan far back uphill on your own. Worst features- honestly? It was getting the fuel cap off, but a smear of Vaseline took care of that. Best features- every time I reach for my Shoei and gloves the old pulse quickens at the prospect of spending time on my bike. Even though I'm new-ish to motorcycling, the bike gets through the traffic very well for a tourer. The secret is to use the mirrors like cat's whiskers; if they go through the panniers will fit too. Then out on A and M roads the bike says 'sit back, enjoy, leave it to me....but keep an eye on the speedo'. I've done 170 miles non-stop without issue. I reckon I could empty the tank in one go....and I'm a creaking 56! And it stops. The harder you squeeze, the quicker it slows. Depends what you want. I'm no nutter but you can get on with it if you ask the question. I've never red-lined it, in fact there's little need to go over 5,000 RPM unless you're on a mission. 115 MPH with a massive twist left on the throttle was plenty for me. Nice rangey gears, reliable 'clunk' into 1st. Very smooth engine with no discernible vibration beyond reporting back to the rider that a large engine is at work. The swing arm is fine. It went through service and MOT without touching the sides. It will get the garage it deserves when we move next month. I've kept it under a cover, ridden all year (sometimes with weeks in between use) and it starts like you've just got off it. £88 for the 24,000 mile service, known as a 'tyre kicker' but I asked for filters to be checked and changed if necessary. I am a couple of thousand miles from a tyre change which will be completed in good time as tyre wear is not good on the handling of this bike. Always get over 200 miles to a tank even shuffling about in the bloody traffic in my home town (Brighton). I've ridden to Leicester and back on three occasions. The tank ran to well over 250 miles. I've dropped a point because the 'Pan is not possessed of a selection of engine settings. It does not have throttle modes. It does not have a dilithium crystal and it won't tell you what gear you're in. The switchgear is functional with no frilly bits. Dials with needles. I accept that new bikes are phenomenal pieces of technology. Mine isn't. Good. Panniers and top box are ample and solid. Pockets either side in the fairing, one with a lock. Brilliant seat for two-up. I brought from a local garage. They had known the bike for six years, knew the reason for sale and were happy to discount clothing purchases after I'd offered the asking price- £3,700. a lot of bike for the money. big & heavy but handles superb (worn tyres affect handling considerably- just put a new set of bt023 on - excellent even in this wet weather). commands a large presence on the road (which doesn't completely stop the SMIDSY's but definitely reduces them) and still gets through the traffic jams with all the panniers and wide mirrors etc. abs & tcs have got me out of trouble more than once! 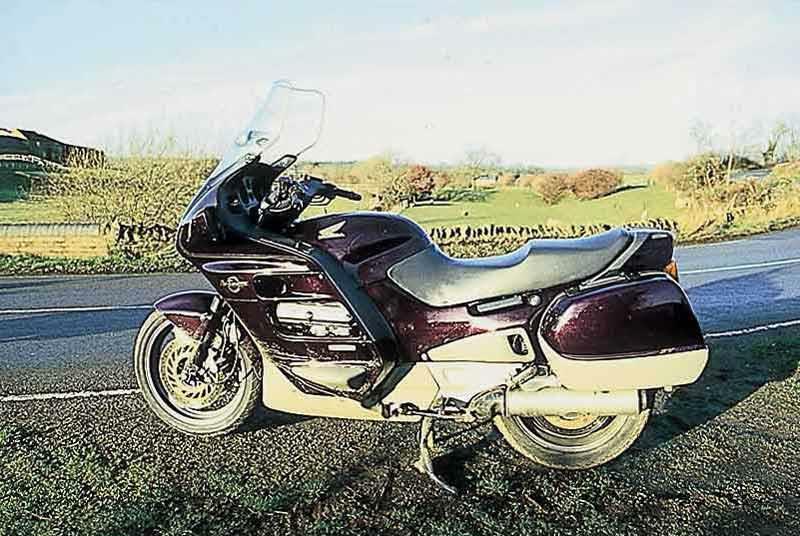 I have an ex police model (just under 25,000 miles atm) with the bigger alternator and have heated grips and power outlets for satnav, phone charger, video camera, comms set, mp3,etc. and it never fails to start. I invested in a corbin dual seat which is super comfortable. I travel around 160 miles a day in all weathers (to work and back- double or more on a trip out) -aside from obvious reduced visibility hardly ever notice the wind and rain. roughly 40-50mpg depending how I ride. plenty of storage - makes no difference to handling or speed fully loaded up +pillion. great bike. I bought a 1990 ST1100 in 1992 at about half retail and only 3,200km on the clock. This bike has been the best long distance ride ever (my other rides were V65 Sabre, FJ600, XS650). I also commute on it. Great city bike but after 22 years of Toronto road work the fairing needs some TLC for rattles. Apart from being classed as an old man's bike, they're brilliant. No different solo than two up. Loads of grunt. Great weather protection. Don't ever drop it. Mines been knocked over twice, no damage though, those crash protectors do a good job, but the bike's so heavy it takes two to pick it up. I was converted to the St1100 after riding my mates for 2000 miles in France and they really are a very good touring bike economical as any other excellent build quality and super comfy solo, two up fully loaded it just don't matter. Replace the tin exhaust box with a s/steel one change the oil and filters regularly and you will have a bike that will last years. BUT DON'T BE CONFUSED THIS IS THE ST1100 I am talking about NOT the newer ST1300 that is rubbish by comparison DO NOT BUY ONE pick up a good 1100 and you won't be disapointed. Ive owned my Pan since 2001 when i purchased it new yes it is heavy but its a man`s bike after all. I have done 130mph in Germany two up with more to spare unbustable motor loads of grunt making really lazy riding. Will blow 600 sports bikes off as it corners on rails. well over 40 mpg tank capacity over 6 gallon. The build quality is excellent except for mild steel collector, once replaced with stainless steel you can forget it. Bridgestone BT020 tyres give really good grip rear lasts 6k and front 8k. Brakes are ok Only synthetic oil due to wet clutch Bike will cover 200,000 miles easily with only few parts wearing out cam belt change 80k Thats why they keep their price. Will i ever sell it NO I WONT Loads of accessories to fit good weather protection use it all year round. Buy one you will not regret it. How did Honda make something this GOOD in 1989??? Keeps you dry even in terrible weather, serious grunt in the engine, comfy enough for all day riding, you quickly forget the size and weight, not cheap to buy or put fuel in. I've had my X-reg ABS/TCS Pan for 18 months or so, apart from a couple of silencers, no probs. Took a while to get confidence, but two new BT020's transformed the handling; you can lean at improbable angles, at least in the dry. Keeping up with most sports bikes is possible as long as you plan your corners; it's not really chuckable, but handles very well for a big bike. The anti-dive forks work well, brakes are capable, the linked system is not obvious in operation. Economy and comfort ? 300+ miles to a tank, then you might want to stretch your legs. If you are looking to buy, like all faired bikes, the plastic can hide a lot, most don't get cleaned behind, so have a good look. Parts are expensive, a full exhaust is several hundred £'s, as is an ABS unit. Pans tend not to get thrashed, so last a long time if they get regular oil changes. Get one while you still can ! Had a 2000 ABS Pan 2 years now, 42K miles, no problems except exhaust corrosion. Big bucks... If you're buying one, get down on the ground with a torch and have a good look! Take the panniers off. Also check the radiator, alloy can corrode under the paint. Big bucks... No mistake, a heavy bike, takes a while to master. Most Pans get dropped at a standstill, usually no damage except £12 crash bar cover. Avoid gravel car parks! Once moving, a peach to ride, if well ridden easily stays with sporty stuff on country roads, but keep your wits about you, sudden tight bends remind you you're on a third of a ton..! 40 mpg typical. Oh, and did I mention it was heavy? Incredible value for money. Astounding 'survivablity'. Very reliable. Low maintenance. Bought with 500 miles on the clock in 1990, px'ing a VFR for approx. £4200. I reckon its still worth £2000, so that is a depreciation of about £138 per year. 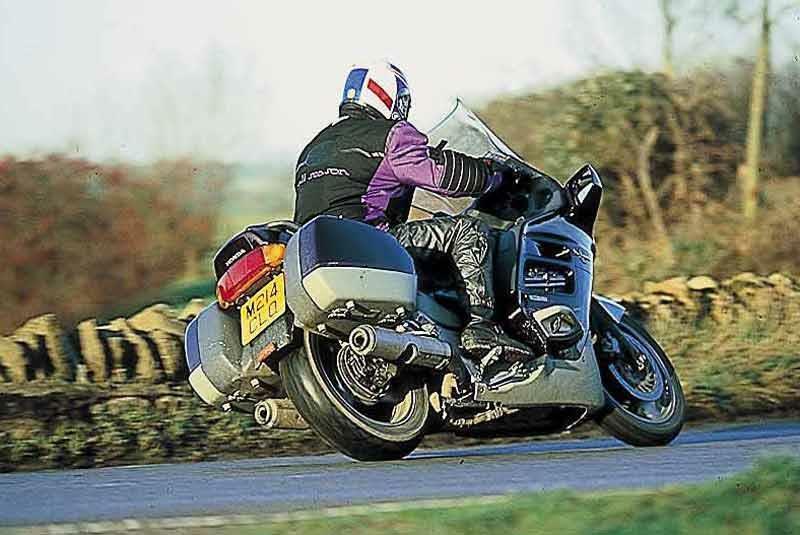 By common consensus within the motorcycling fraternity, the ST1100 has turned out to be a fabulous motorcycle, but in 1990, if you listened to the pundits, i.e. motorcycle journalists, it might have seemed a bit of a punt, being slated as 'too heavy and ponderous'. Time has proven the ST1100, amongst both the private and public sectors of the motorcycle market. I fully expect to still be riding my ST1100 in ten years time, unless Honda or another manufacturer manage to improve upon the ST1100 Pan, in all areas. It should be easy as the ST1100 was designed in the late 1980's but they have'nt managed it yet. 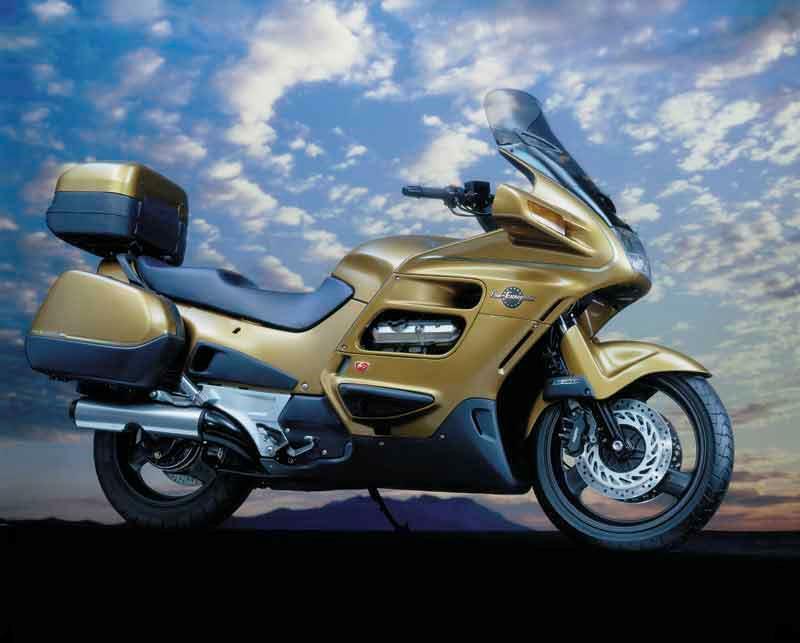 In my opinion, the ST1100 model is faithful to the ideals of Soichiro Honda. Strengths: Total reliability, low maintenance, reasonable performance, astounding 'survivability'. Weaknesses: The exhaust collector box. Thats it. After comeing into some handy needed cash. I thought go get myself an other bike so sold the old bmw k100rs after lots off happy miles and got a zzr1300 only to meet with a young girly comeing the wrong way down the a406 me and the bike went under her car and walked away lucky or wot?? Was left with a lot off pain so sport bike days were over at 54 years old in come the pan and cant find any thing wrong with it 100 out of 100 for the beasty love it and the new 1300 looks good to slurp slurp. Strengths: The pan handles two up and lots of luggage easy and still handles good. Weaknesses: Exhaust box bit dear to replace . The bike is the best bike ive ever owned and as they dont make them anymore im going to keep it. Ive never had any mechanical problems at all, only things ive change in 12k are the tyres to Bridgestone 020`s rear pads, oil and filter they are that reliable. Strengths: The ease of touring two up cornering stability and that grunty motor sports bikes have problems in bends keeping up Fact. Tank range 270 miles, comfort lugage resale price. Weaknesses: There isnt any unless you say its a bit heavy but its a tourer. Fantastic piece of kit, daily use never shown any probs even with 45000mls on it. This bike is truly amazing, would buy another one now if I could afford to. Bought 3yrs old with 40,000mls, did 5000 in 6 months. Had to sell mine due to mariage and house move. 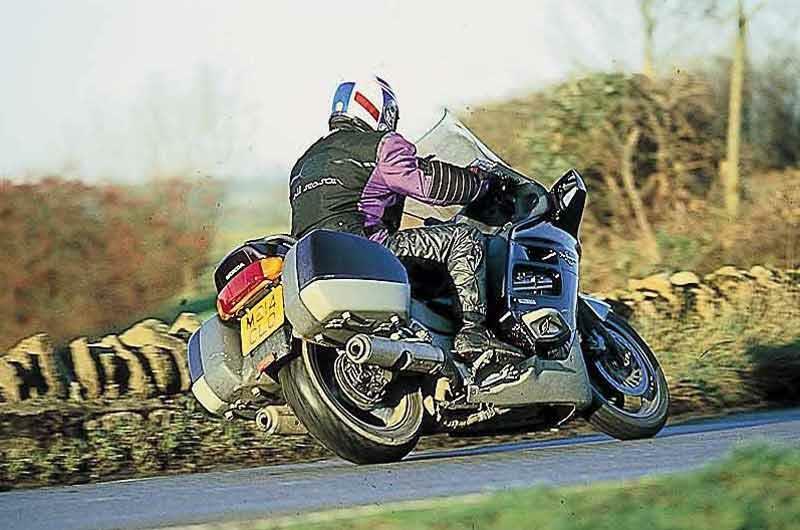 (What was I doing) 20 mile round trip daily comute in all weathers not a problem, it had heated grips(godsend)It was supremely comfortable even 2 up and loaded, never a lack of power or grunt, and the handling was flawless once used to weight. By the way I am 26yrs old and sold it 18 months ago. You can stop laughing now. (Not that I care) Strengths: The best things were its ability to keep suprising you in its ability. The handling suprised me most, it was so stable. It didn't matter how hard you counter steered it just turned and asked for more. Weaknesses: The only weaknesses I can think of are that I found the bars to low (STX 1300 are better)this may just be a personal thing as I have quite short arms. Her indoors aslo complained of the wind beating her to death at speeds in excess of 85mph on the back, but no-one else I spoke to said the same?